From MRO's 2005 launch until the "all-stellar" capability was uploaded as a software patch last year, the spacecraft always used an inertial measurement unit—containing gyros and accelerometers—for attitude control. At Mars, the orbiter's attitude changes almost continuously, with relation to the Sun and other stars, as it rotates once per orbit to keep its science instruments pointed downward at Mars. 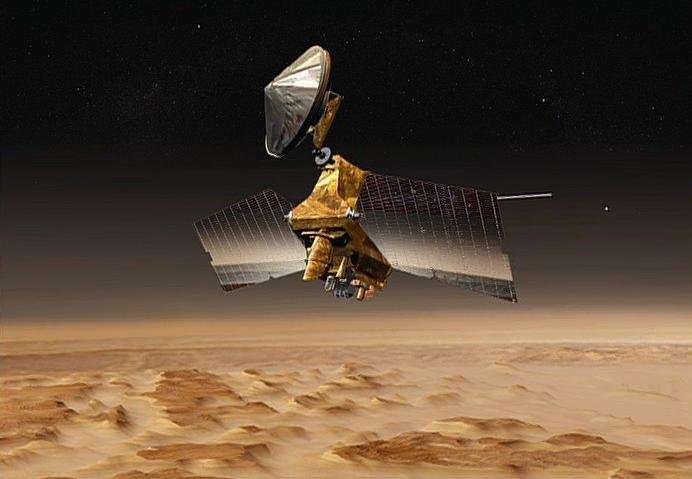 MRO continues to investigate Mars with all six of the orbiter's science instruments, a decade after what was initially planned as a two-year science mission to be followed by a two-year relay mission. More than 1,200 scientific publications have been based on MRO observations. Teams operating the two instruments named most often in research papers—the High Resolution Imaging Science Experiment (HiRISE) camera and the Compact Reconnaissance Imaging Spectrometer for Mars (CRISM) mineral-mapper—are dealing with challenges but are ready to continue providing valuable observations. For example, some HiRISE images taken in 2017 and early 2018 show slight blurring not seen earlier in the mission. The cause is under investigation. The percentage of full-resolution images with blurring peaked at 70 percent last October, at about the time when Mars was at the point in its orbit farthest from the Sun. The percentage has since declined to less than 20 percent. 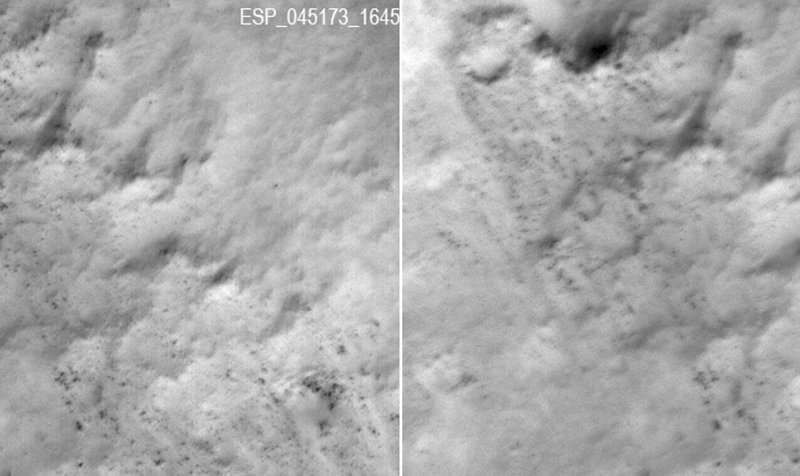 Even before the first blurred images were seen, observations with HiRISE commonly used a technique that covers more ground area at half the resolution. This still provides higher resolution than any other camera orbiting Mars—about 2 feet (60 centimeters) per pixel—and little blurring has appeared in the resulting images. The Context Camera (CTX) continues as it has throughout the mission, adding to near-global coverage and searching for changes on the surface. The Shallow Radar (SHARAD) continues to probe the subsurface of Mars, looking for layering and ice. Two instruments for studying the atmosphere—the Mars Color Imager (MARCI) and Mars Climate Sounder (MCS)—continue to build on nearly six Mars years (about 12 Earth years) of recording weather and climate.